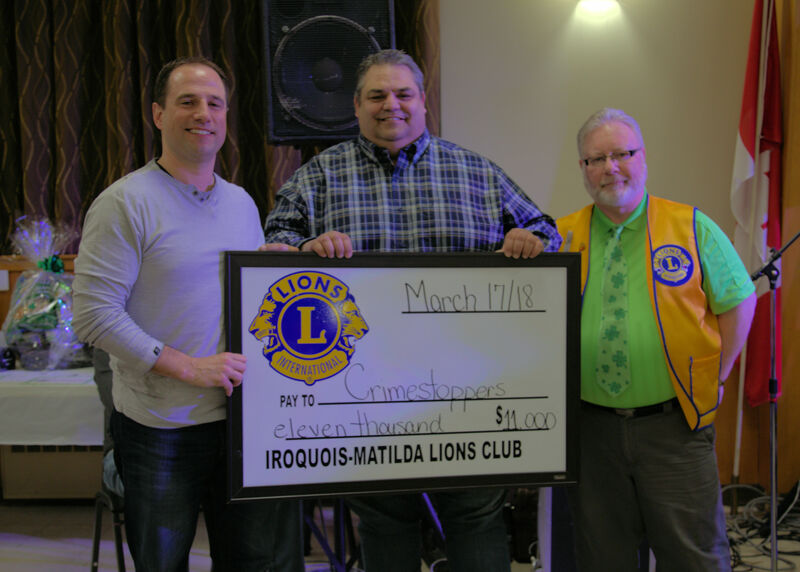 On March 17, 2018 the Iroquois Matilda Lions club hosted a night of fun, food, laughter, and music to benefit Seaway Valley Crime Stoppers, featuring comical act Bowser and Blue. The event included a wonderful BBQ Chicken dinner, Live Auction and great entertainment. The guests at the event proved to be in a very generous mood. 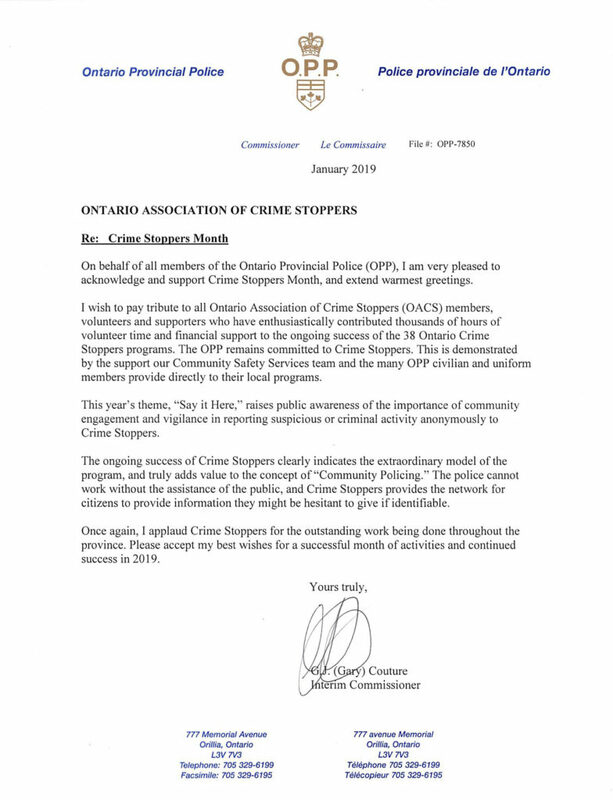 At the conclusion of the evening the President of the Iroquois Matilda Lions Club Jim Mustard presented Police Coordinator PC Tylor Copeland and Board President of Seaway Valley Crime Stoppers Robert Short with a cheque for $11,000. Both recipients were in complete shock with the donation. 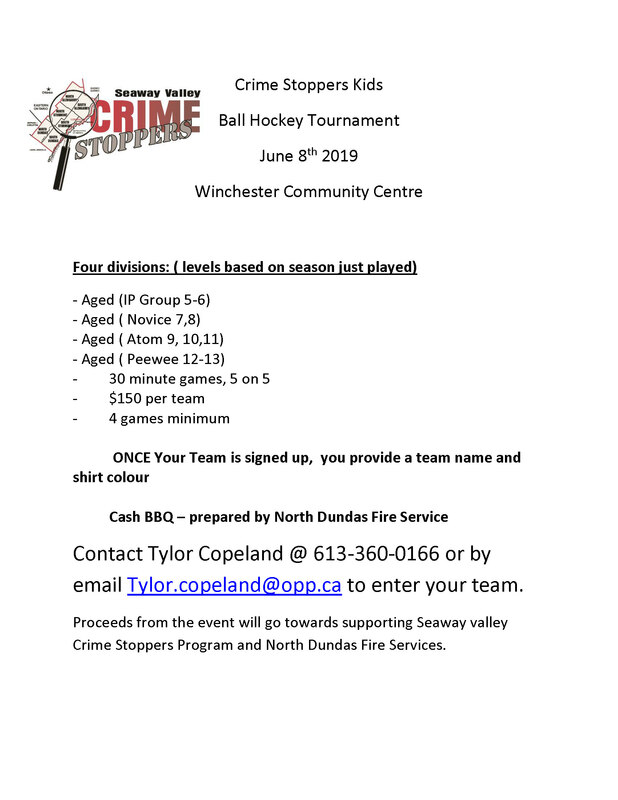 The Seaway Valley Crime Stoppers Program wishes to send out a huge thank you to the Lions Club of Iroquois Matilda and all the folks who graciously donated to this cause and attended the event. 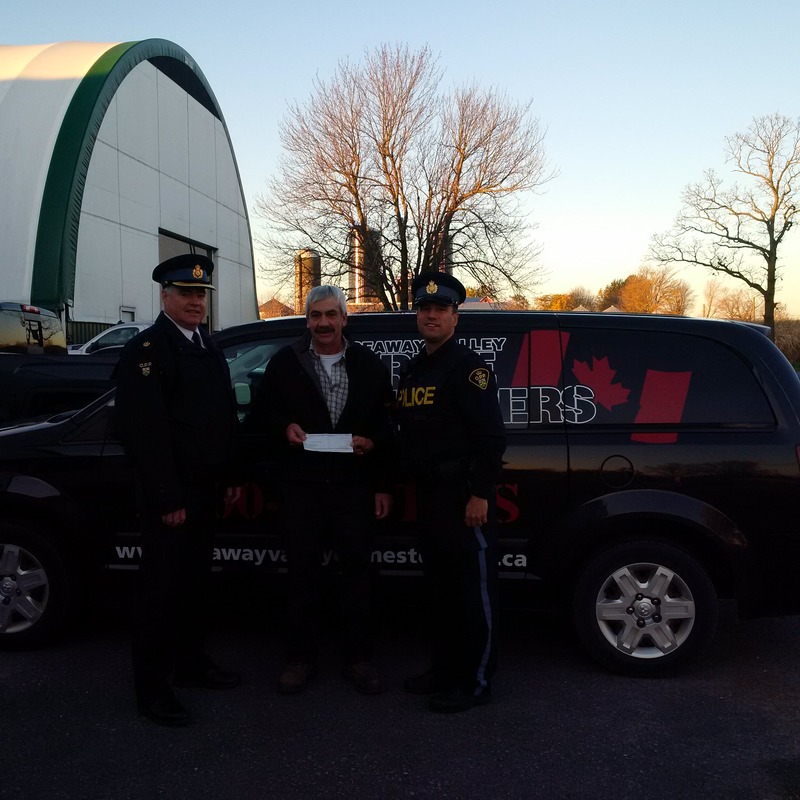 The SDG Police Services Board generously donated $1000.00 to Seaway Valley Crime Stoppers on October 31,17. On average, one person dies every five hours on Canadian roads. More than 160 people lose their lives in a month. 37 people are killed (on average) each week; 5 people die on Canada’s roads on average per day. 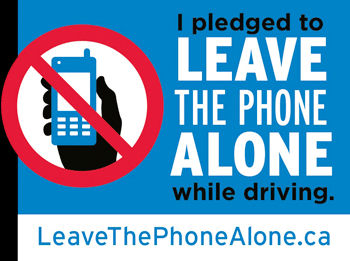 Each year in Canada, over 1,900 people are killed in road crashes and another 165,000 are injured.